Dusty Springfield was a big, big star in the 60’s with hits on both sides of the Atlantic, but she was much more than that. Dusty was an icon, partly because of her sexuality, but also because she showed that a singer in the sixties, and a female singer at that, could have some control over her career. She could choose what she wanted to record and not just sing songs she was told to. 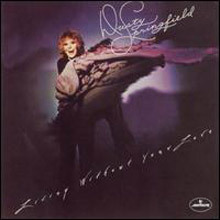 The box set, The Magic of Dusty Springfield is both perfectly titled, because she did make magic, and because it shows the many facets to the recording career of one of the great voices of the 20th century. Born Mary O’Brien in London in 1939, Dusty began singing with the Lana Sisters, before forming a group with her brother Tom and Mike Hurst. The Springfields, as they called themselves signed to Phillips and had some minor hits including, ‘Say I Won’t Be There’ and ‘Island Of Dreams’, and made the Billboard Top 20 with ‘Silver Threads and Golden Needles’. 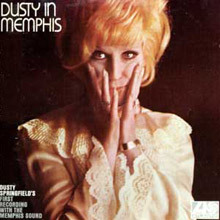 Dusty went solo in 1963 and her wonderful voice coupled with a great choice of song, ‘I Only Want To Be With You’ made No.4 on the charts, helped in no small part by being featured on the first ever Top of the Pops on BBC TV in January 1964. It was arranged and conducted by Ivor Raymonde who later did so much to help the Walker Brothers create such wonderful sounding records. 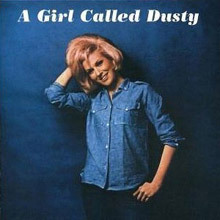 Her first album, A Girl Called Dusty, came out in April 1964 and included mostly cover versions of Dusty’s favourite songs, including ‘Mama Said’ and ‘Twenty Four Hours from Tulsa’; it reached No. 6 in the UK. Later in 1964, Dusty recorded two more Burt Bacharach songs: ‘Wishin’ and Hopin’ and the towering, ‘I Just Don’t Know What to Do with Myself’ that made No.3 in the UK. At the end of 1964 Dusty was deported from South Africa after she performed for an integrated audience at a theatre near Cape Town. It was a sign of both her independence and her love of black music. In 1965, she had three more UK Top 40 hits, ‘Your Hurtin’ Kinda Love’, ‘In the Middle of Nowhere’, and a gorgeous song written by Carole King, ‘Some of Your Lovin’. 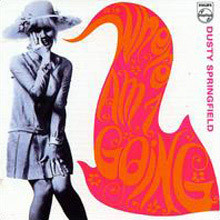 However, these were not included on her next UK album Ev’rything’s Coming Up Dusty in October 1965; it peaked at No. 6 on the UK chart. 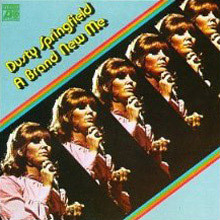 Dusty Springfield was a big fan of Motown and she was one of the only white singers who could get close to the sound of the Detroit label’s records. 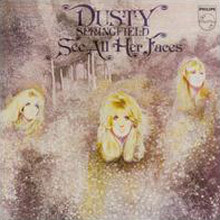 She was very picky about what she recorded which means that every Dusty record has her mark upon it. She was not like many of the singers from the era who were happy to record just about anything they were told. In 1965 Dusty took part in the San Remo Song Festival and heard ‘Io Che Non Vivo (Senza Te)’ performed by one of its composers Pino Donaggio. 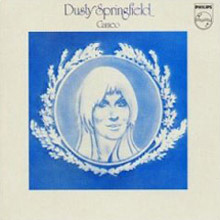 The song with English lyrics, written by Dusty’s friend, Vicki Wickham, and Simon Napier-Bell was ‘You Don’t Have to Say You Love Me’, released in May 1966 it reached No. 1 in the UK and No. 4 in the US. According to Napier-Bell who became her manager, “There, standing on the staircase at Philips studio, singing into the stairwell, Dusty gave her greatest ever performance – perfection from first breath to last, as great as anything by Aretha Franklin.” He also reveals that, “Vicki [Wickham] and I had thought our lyric was about avoiding emotional commitment. 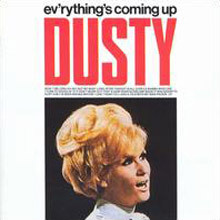 Dusty stood it on its head and made it a passionate lament of loneliness and love.” Whatever it’s about it is one of the great pop singles by a female vocalist. Dusty may have thought it “good old schmaltz” but it’s schmaltz to last. For a great insight into her choice of songs check out, Complete A and B Sides (1963-1970), it is exactly what it says it is, and brilliant. More hits followed including her outstanding version of ‘Goin Back’ before she recorded with Jerry Wexler an album called simply, Dusty in Memphis. It included still another top ten song, ‘Son-Of-A Preacher Man’ as well as one of the sexiest records ever, ‘Breakfast in Bed’. Another record from 1969 that was barely a hit was the fantastic, ‘Am I The Same Girl’; it was later covered by Swing Out Sister and to be fair they got very close to equalling Dusty’s performance. It was a simple homage to arguably Britain’s best female singer. After a period of much reduced professional activity in the 1970s and early 1980s, a period when Dusty had serious issues with both drink and drugs she came back with a bang in 1987. She recorded with The Pet Shop Boys, ‘What Have I Done To Deserve This?’, made No.2 on the UK charts and rekindled many people’s interest in a singer who had never fallen out of affection with her fans. She followed it with the excellent ‘Nothing’s Been Proved’ from the movie Scandal about shocking goings on in the upper echelons of British politics in the 60s – who better to sing the theme song?